While in Knoxville performing on WDVX Radio’s Blue Plate Special, Natasha had the pleasure of being interviewed for the long running Nashville Public Television show Tennessee Crossroads. On the air for 25 years, Tennessee Crossroads travels the highways and byways of Tennessee, highlighting the personalities, crafts, places, foods and events that make Tennessee special and its character unique. 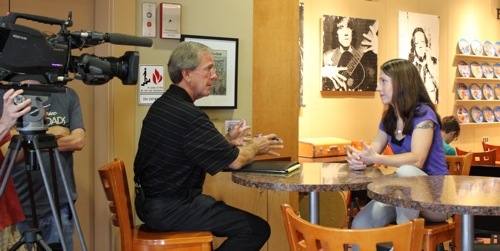 The show was doing a feature piece on The Blue Plate Special and asked Natasha for a personal interview after her performance. Below she is being interviewed by producer Ken Wilshire. 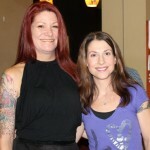 Stay tuned for details on an air date. 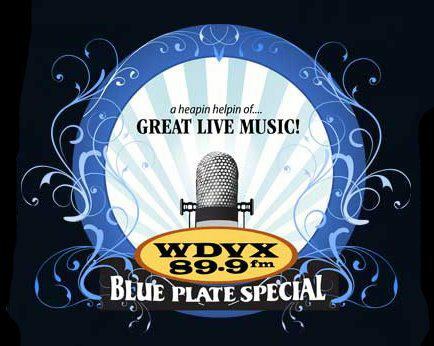 On July 26, 2012 Natasha made her first appearance on the world renowned Blue Plate Special which is broadcast and webcast live on WDVX 89.9 FM from the Knoxville Visitor’s Center in downtown Knoxville, TN. 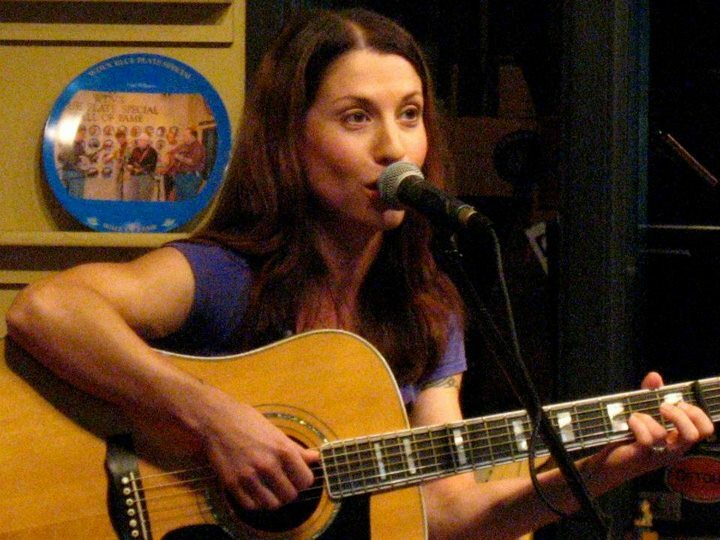 It is a free live concert open to the public featuring some of the top names in folk, Americana, bluegrass and roots music passing through Knoxville. 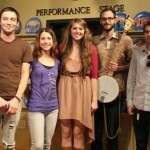 Natasha shared the bill with the group The Living Trees from Johnson City, Tennessee. The show is hosted by WDVX DJ Red Hickey. 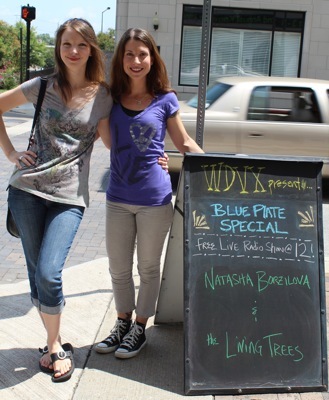 Former Bering Strait bandmate Lydia Salnikova is now living in Knoxville and is a very popular part of their thriving music scene and surprised Natasha by stopping by for her performance on the Blue Plate Special. 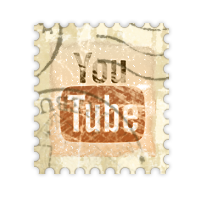 We create and provide content to promote the cultural heritage of East Tennessee and the Southern Appalachian region by entertaining and educating audiences globally with original programs showcasing live radio performance, under represented arts, and emerging and local talent. WDVX plays Bluegrass, Americana, Classic Country, Alternative Country, Western Swing, Blues, Old Time and Traditional Mountain Music, Bluegrass Gospel, Celtic and Folk. 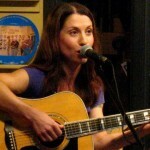 Then, we throw in a little roots music from other parts of the world, as well as some good old rock-and-roll and the latest releases in Americana music. 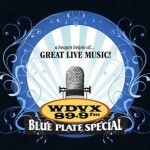 WDVX offers our listeners a variety of specialty shows featuring music you can’t hear anywhere else. 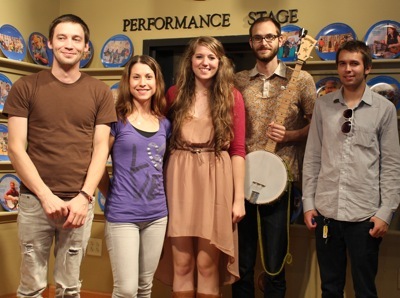 WDVX also provides local and regional musicians an outlet for their talents. 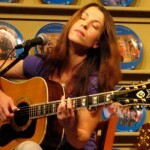 Weekdays at noon and on Saturdays WDVX broadcasts live performances from our studios in downtown Knoxville. Many thanks to Janet Goodman of Music News Nashville, a popular music website focusing on the Music City music scene for her very favorable review of ” Out of My Hands”. 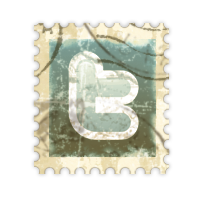 You may read the review by clicking here or go to the reviews page on the website where it is also posted. Natasha’s new album “Out of My Hands” received a very nice review in the popular German music website Country Jukebox. 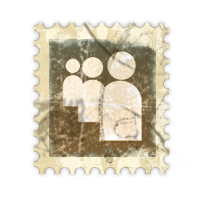 Below the German review we have placed a google translation of the review into English. While not a perfect translation, it will give you a good idea of what the review says. 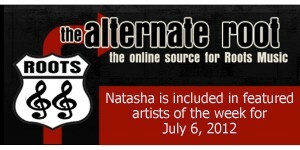 Our thanks to editor Max Achatz for always being so supportive of Natasha’s music on his site and in Germany and bringing attention to her music in Europe. Out Of My Hands, the new third solo album NATASHA BORZILOVA, former lead singer of the short-lived Russian band Bering Strait, is full of songs that go really under the skin. 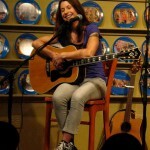 And here you can hear the emotion and intention of a singer and songwriter, who arrives at the moment. Minimal instrumentation and a sweet, melancholy vocals are fully sufficient for their dense, extremely haunting songs, which have grown up with many other content and also about hope, family, love, loss and transport. 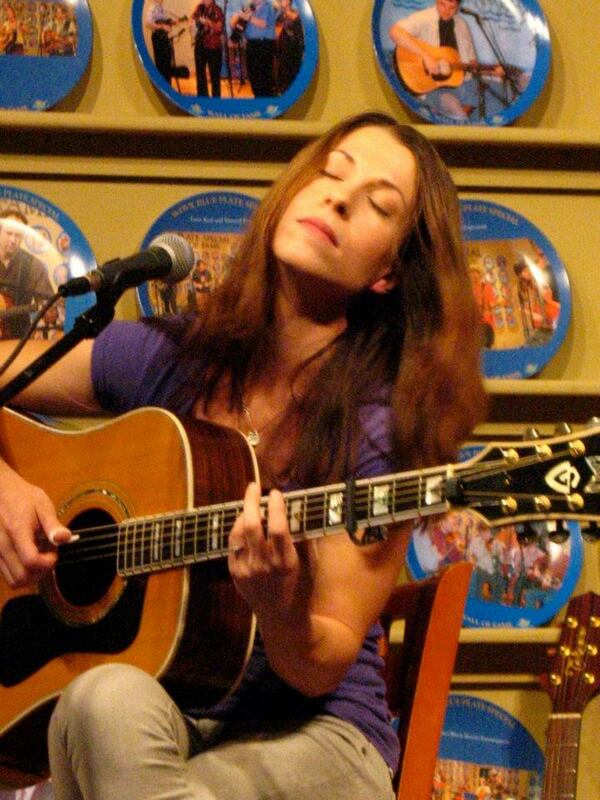 All may feel yourself to appreciate the true folk and singer / songwriter Art. 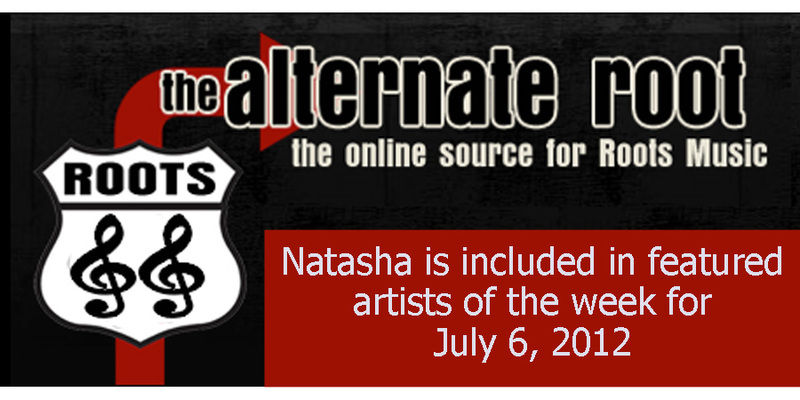 Natasha was included in the weekly “Featured Artists of the Week” on the Alternate Root Magazine. The feature included a very favorable review of “Out of My Hands” as well as a free download of “Gypsy”. The Alternate Root Magazine has been committed to the redistribution of opportunity for success for independent American Roots musicians since 2007. They are an interactive magazine featuring all genres of traditional American roots music including Americana, Alt-country, Blues, Rockabilly, Folk, Bluegrass, Roots Rock and traditional country. They also produce the weekly internationally syndicated American Roots music show “Alternate Root TV” and publish the Top 66 International Airplay Chart. 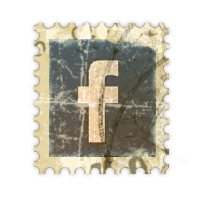 Our goal is to create the tools needed to advance the American Roots music format. Copyright © Natasha Borzilova 2012. All Rights Reserved.